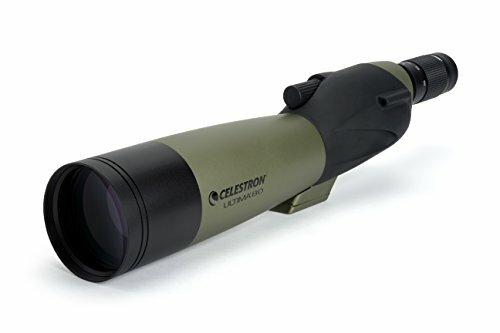 Celestron Ultima 80 20 to 60x80 Straight Spotting Scope | Spot On! 52254 Features: -Spotting scope. -Straight through viewing angle. -20-60x zoom eyepiece. -Sight tube for quick targeting. Purpose: -Hunting. Purpose: -Bird Watching. Product Type: -Straight. Size: -Mid-Size. Zoom Lens: -Yes. Waterproof: -Yes. Generic Dimensions: -3.5” H x 3.5” W x 19” D. Dimensions: Overall Height – Top to Bottom: -3.5 Inches. Overall Width – Side to Side: -3.5 Inches. Overall Depth – Front to Back: -19 Inches. Overall Product Weight: -2 Pounds.